Bland Landscaping provide quality landscape work and grounds management with superior service for our clients. 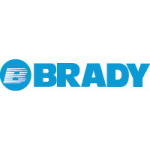 At Brady we offer more than HVAC. In addition to being your source for Trane equipment, industrial clients seeking “one stop accountability” and single source solutions on demanding projects have been a focus of our business since 1962. Our record of maintaining our customers’ facilities in top operating conditions, in all industries, is unparalleled. BrightView is a national provider of Landscape Services with a focus on consistent excellence, proactive service and steady focus on our clients. 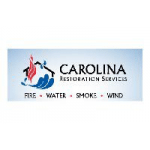 Carolina Restoration Services is a locally owned and operated full-service general contractor specializing in fire damage, water damage, smoke damage, tree removal, and storm damage and restoration companies. The high skilled EDS work force performs the specified waterproofing project with minimal disruption to the tenants. Their meticulous attention to detail and safety is evident throughout the entire project. Our services are performed by licensed and highly-qualified EDS technicians who are trained to provide you with the best service using cutting-edge techniques and technology. We are a commercial cleaning company that provides services for medical, office and construction sites. We strive to always exceed customer expectations. 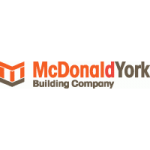 McDonald York is a 105 year old commercial contractor headquartered in Raleigh, NC. McDonald York is a family owned company by Jack McDonald and Smedes York. McDonald York is known as a contractor who thrives on challenging projects in our key markets of Life Sciences, Healthcare, Corporate, and Commercial Markets. MG Capital Maintenance, Inc is a locally owned and operated Commercial Janitorial Company with over 30 years of combined leadership experience. Piedmont Service Group is a leading provider of technical facility services and energy efficiency solutions. Workspace Innovation Begins Here. We believe in creating spaces that work as hard as the people in them. 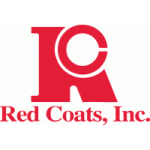 Founded in 1960, with several small accounts and a staff of only twelve employees, Red Coats Inc. has grown to be the largest, local provider of professional custodial services in the Washington DC Metropolitan area. Ecoscape Solutions Group, a Yellowstone Landscape company, is a commercial landscaping service provider offering Landscape Design, Installation, and Maintenance solutions to outstanding properties across the region. Element Service Group Mechanical specializes in commercial HVAC installation and service. Our commercial HVAC service team consists of veteran HVAC professionals that have a multi-year proven track record of providing excellence to the Triangle commercial market.